Few months ago I have prepared a post, but kept it in drafts for a quiet long time. That post was having a title that says "An open invitation for writing." I really wanted everyone to share with us whatever they had in mind, and get the opportunity to experience the fun of writing. But, unfortunately, I was very busy to think of anything creative that might help me accomplish whatever I was looking for. 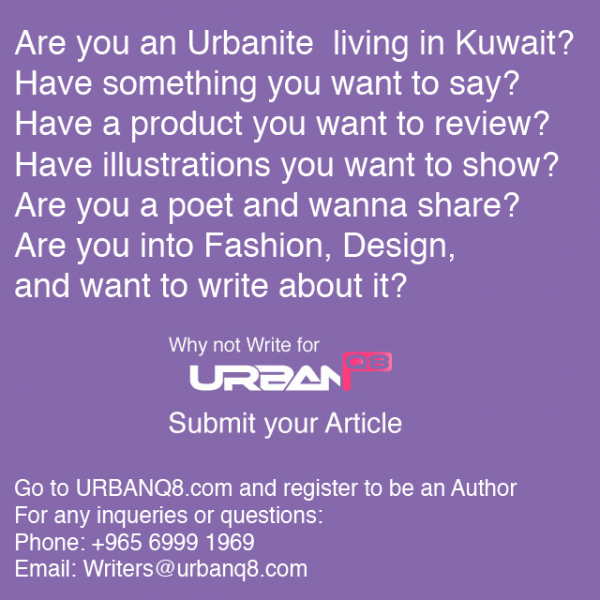 You don't need to be a professional writer or anything, all you have to do is just register in www.urbanq8.com website and submit your articles. It's easy, fun and great! I found this such a unique and creative thing to do, and I have participated in posting few articles as well. 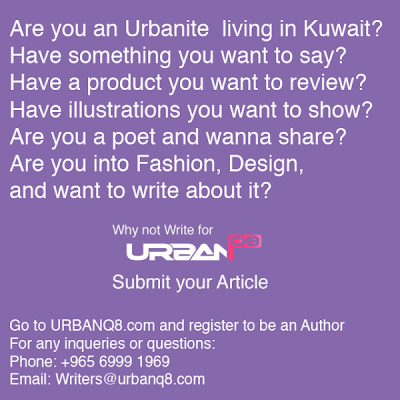 If you like writing and want the opportunity to shine, do not hesitate to start writing and submit your article to the above website. I really think this would be such a great experience.